I have a background in art practice; I completed a BA in Fine Art (Sculpture) prior to a Masters and PhD on film and television studies. My research is concerned with changing cultures, contexts and economies of art and media practice and I have authored two books. TV Museum: Contemporary Art and the Age of Television (Intellect, 2014) examines how television has been imagined, critiqued and memorialised in art practice, and The Place of Artists’ Cinema: Space, Site and Screen (Intellect, 2009) explores aspects of the cinematic turn in contemporary art since the 1990s. My writing has also appeared in publications such as Afterall, Artforum, Art Monthly, Frieze, Journal of Curatorial Studies and Mousse, and in catalogues on the work of Gerard Byrne, Phil Collins, Celine Condorelli, Anita Di Bianco, Martin Healy, Jesse Jones, Bea McMahon, Niamh O’Malley, Susan Philipsz, Sarah Pierce and Olivia Plender, among others. Many of my articles and essays are accessible in full on my website. I have curated screening programmes for Bluecoat, Irish Film Institute, Kadist (One Sentence Exhibition), LUX, Mother’s Tankstation, Project Arts Centre and the Starr Auditorium in Tate Modern. I am currently researching the embodiment and materialisation of infrastructural change in art practice. ‘Exhibiting the End: Curatorial Scenarios of Burial, Contamination and Extinction’, Journal of Curatorial Studies 7.1, 2018, 96-120. ‘Le méchanic du “maintenant”/Die Funktionsweise des Jetzt/The Mechanics of Now’, in Gerard Byrne: A Late Evening in the Future: Signal, Spectre, System, edited by Sven Anderson, Gerard Byrne and Peter Maybury, Vienna: Verlag für moderne Kunst, 2018, 33-38. Being Infrastructural, video screenings with works by Jeamin Cha, Mike Kelley, Heecheon Kim, Nathaniel Mellors, Rosalind Nashashibi, Lucy Raven and Dan Walwin, at Mother’s Tankstation Gallery, Dublin, 2 November- 16 December 2017. ‘The Place of Our Dreams: Lódź Film School and the Workshop of the Film Form’, Workshop of the Film Form, edited by Marika Kuźmicz and Łukasz Ronduda, Warsaw: Fundacja Arton, 2017. ‘Electronic Superhighway: Nam June Paik and the Infrastructure of Circulation’, NJP Reader #6: Reanimating Nam June Paik 8, edited by Jihoon Kim, Seoul: Nam June Paik Center, 2016: 141-150. ‘Conceptualising the Cinematic in Contemporary Art’, in Extended Temporalities: Transient Visions in the Museum and in Art, edited by Alessandro Bordina, Vincenzo Estremo, Francesco Federici, Milan and Udine: Mimesis International, 2016: 73-86. ‘Permutations of the Prop’, Forms of Imagining: Additionals: Céline Condorelli, edited by Tessa Giblin and Emer Lynch, Dublin: Project Arts Centre, 2016, 4-11. My research is concerned with the relationship between aesthetic practices and philosophy. My BA was in Art practice, with a focus on print, the graphic mark and photography and my postgraduate studies were in Philosophy culminating in a PhD that focused on the ‘dialogue’ between the works of Jacques Derrida and Martin Heidegger, as aesthetic thinking after the critique of presence. I also teach on the practice based Art BA course at IADT and I specialize in the cross-over between practice and theory. In writing I have a focus on contemporary European philosophy and the relationship between aesthetics, technology and ethics in thinkers such as Nietzsche, Heidegger, Lévinas, Foucault, Derrida​, Arendt and Butler. My main research areas are in aesthetics and the applied potentials of deconstruction and critique. I am currently working on a project that considers the critical phenomenologies at work in the notion of ‘artificial intelligence’ and I am interested in working with researchers in any of these areas and in particular with those engaging with aesthetics within an ‘other-than-Art’ context. I am currently completing a book project titled ‘aesthetics (:) of thinking’. ‘Echoes, Before the Other’ in Heidegger, Levinas, Derrida: The Question of Difference, edited by Lisa Foran and Rozemund Uljée, Springer Contributions to Phenomenology Series, 2016. ‘What is Sculpture?’, Dublin: Irish Museum of Modern Art, 2015. ‘Why do we presume art education is for the production of artists?’, Paper Visual Art Journal, Dublin Edition, 2013. ‘The Relationship between Art & Philosophy’, Visual Artists Ireland Newsletter, February & April issues, 2013. ‘The theatre of authorship: the absent mise-en-scène or Derrida between Mallarmé and Beckett’, paper presented at the ‘Drama and Philosophy’ conference, Instituto de Filosofiada Linguagem, University of Lisbon, Portugal, November 2012. Sheena Barrett is curator of the LAB and an arts officer with Dublin City Council. 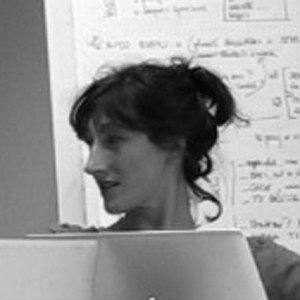 She has over fifteen years experience as an arts manager and curator having previously held roles at Breaking Ground, Temple Bar Gallery & Studios, the National Gallery of Ireland and the National Museum of Ireland. In line with the Dublin City Council Arts Plan, curatorial projects at the LAB have supported artists at critical points in the development of their practice including first solo shows by artists Bea Mc Mahon, Vera Klute and Lee Welch. The LAB initiates cross-disciplinary collaborations, develops extensive public programmes and commissions art writing. Sheena is a graduate of Art History, Arts Management and Cultural Policy at University College Dublin. I am an artist who lives and works in Dublin, Ireland. At the core of my practice is an interest in how Science and scientific language is used to make sense of the physical world, and this research is manifested through sculpture, sound and photography. My concern within this is an inquiry into the state of the object and the transferal of energy from passive to active. I graduated from NCAD with a BA in Fine Art in 2001 and an MA in Visual Art Practices in 2006 from IADT. Recent solo exhibitions include CCA Derry-Londonderry (2017), Temple Bar Gallery and Studios (2011); The Mattress Factory Art Museum, Pittsburgh and Mercer Union Centre for Contemporary Visual Art, Toronto, Canada (both 2010); and in group exhibitions including TULCA Art Festival , Galway (2017), As Above, so below, Irish Museum of Modern Art (2017), In the Line of Beauty, Irish Museum of Modern Art, Dublin (2013), O Brave New World, Rubicon Projects, Brussels (2013) All Humans Do, The Model Sligo and Whitebox, New York (2012); Feedback, Galway Arts Centre (2011); Holding Together at the Douglas Hyde Gallery, Dublin (2010); La Part des Choses, Mains d’Oeuvres, Paris, and in Quiet Revolution, Hayward Touring, UK (2009). I am an artist, researcher and educator, lecturing in 3D Modelling and VFX on the BA in Modelmaking, Design and Digital Effects. I also supervise research masters projects in Visual Arts Practice and Cyberpsychology at IADT. My practice is focused on virtual and augmented reality technologies, videogames and real-time visualisation. Currently, I am a doctoral researcher in the Graduate School of Creative Arts & Media (GradCAM), pursuing a PhD in the political economy of massively multiplayer online videogames and have published in the area of social media and immaterial labour. I graduated from NCAD with an MA in Fine Art Media and BA in Printmaking & History of Art. 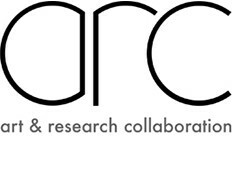 I am interested in working with researchers concerned with the philosophy, politics and modalities of perception in digital cultures. Cora Cummins’s work develops from her ongoing interest in how we perceive and define the landscape, in particular spaces within the environment that are cut off from their surroundings by their own sets of rules and functions, such as places of isolation, retreat and contemplation – locations as various as gardens, fairgrounds, huts, submarines,tree-houses; and temporary communities and encampments. These are places the artist considers to be metaphorically or sometimes literally, kinds of islands. She works through printmaking, video, sculpture and publication. Cora received an MA in Fine Art from NCAD in 2003. Solo exhibitions include ‘The Black Rose, The Green Pool and Blue Sky’ (Sept 2013, Visual Carlow),‘Himmel und Holle’ (August 2010, Galway Arts Centre), ‘Means of Escape’ (April 2008, The Lab, Dublin), ‘A Thousand Islands in the Sea’ (The Dock, Carrick-on-Shannon, July 2006), ‘Someplace Somewhere’ (2004), ‘Halved Hill’ (2002), ‘Various Fields’ (2000, Kevin Kavanagh Gallery, Dublin). Curation projects include ‘Elsewhere from Here’ (2004, Workroom, Dublin), ‘All Yesterday’s Partys’ (2005) along with the Workroom Elsewhere publication project The Fold (2007- present). 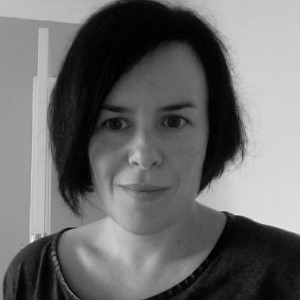 She has worked as a lecturer at IADT since 2003 and currently directs the BA in Art. 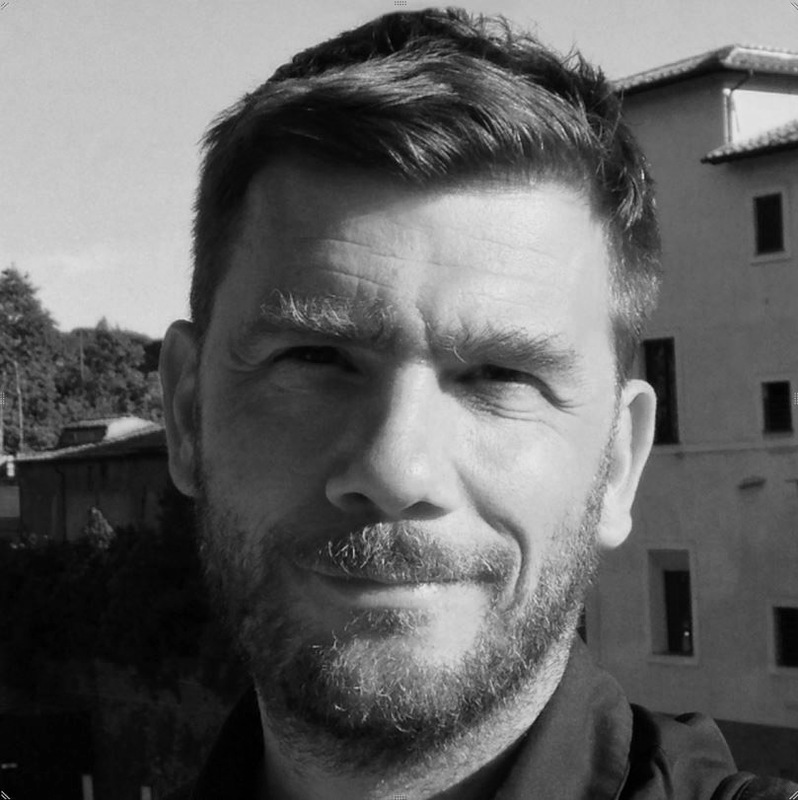 Dr. Mark Curran completed a practice-led PhD at DIT (2011), lectures on the BA (Hons) Photography programme at IADT and is Visiting Professor on the MA in Visual and Media Anthropology, Freie Universität Berlin. 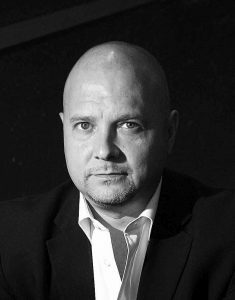 Incorporating multi-media installation informed by ethnographic understandings, he has undertaken a cycle of long-term research projects, critically addressing the predatory context resulting from flows of global capital. Supported by the Arts Council and curated by Helen Carey, his current project, THE MARKET, continues this cycle. The multi-sited transnational project focuses on the functioning and condition of the global markets and a publication is planned. Recent installations include Gallery of Photography (2013),Belfast Exposed (2013), Limerick City Gallery of Art (2013), Grimmuseum, Berlin (2013) and Centre Culturel Irlandais, Paris (2014). Curran has presented widely including Aalto University, Helsinki (2012), The Photographers Gallery, London (2012), IMMA, Dublin (2013), CAA, Derry-Londonderry (2013), Abbey Theatre, Dublin (2014), McGill University, Montreal (2014) and Royal Anthropological Institute (RAI), London (2015). He has also published and is included in the current edition of UK journal, Photographies, edited by Liz Wells and Deborah Bright. Lynda Devenney is a Dublin based artist whose practice explores the built environment and navigates the discourse of architectural spaces, utilising a multidisciplinary approach that explores architecture, urbanism, narrative, history and social space. Her works often take on hybrid forms such as video, installation, print and sculptural objects exploring the built environment and its relationship to the spatial sense of self and time. Devenney completed a Masters in Art from National College of Art and Design, Dublin in 2005. Since then she has lectured in Visual Arts Practice at Dun Laoghaire Institute of Art Design and Technology. Exhibitions include Concrete Consciousness in Ballina Arts Centre  Transference Monstertruck Gallery , Force Majeure in The Lab  Reading the city Ev+a,  Conferences include Location Aesthetics ELIA, [Glasgow, 2014], Hearth, ELIA, [Nantes 2011], CETLD, V&A Museum [London, 2010]. She was a member and board member of the Black Church Print Studio during 2001 – 2010. She was awarded a project studio at Temple Bar Gallery + Studios in 2010 and a Visual Arts Bursary from The Arts Council in 2010 and 2011. 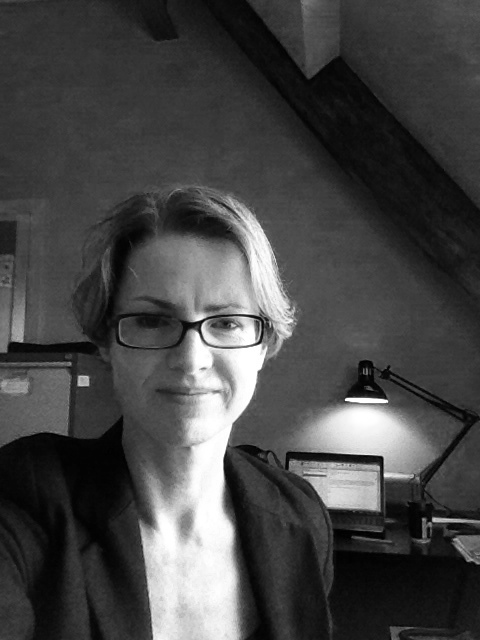 Dr. Clodagh Emoe completed a practice-based PhD at GradCAM/DIT (2014). 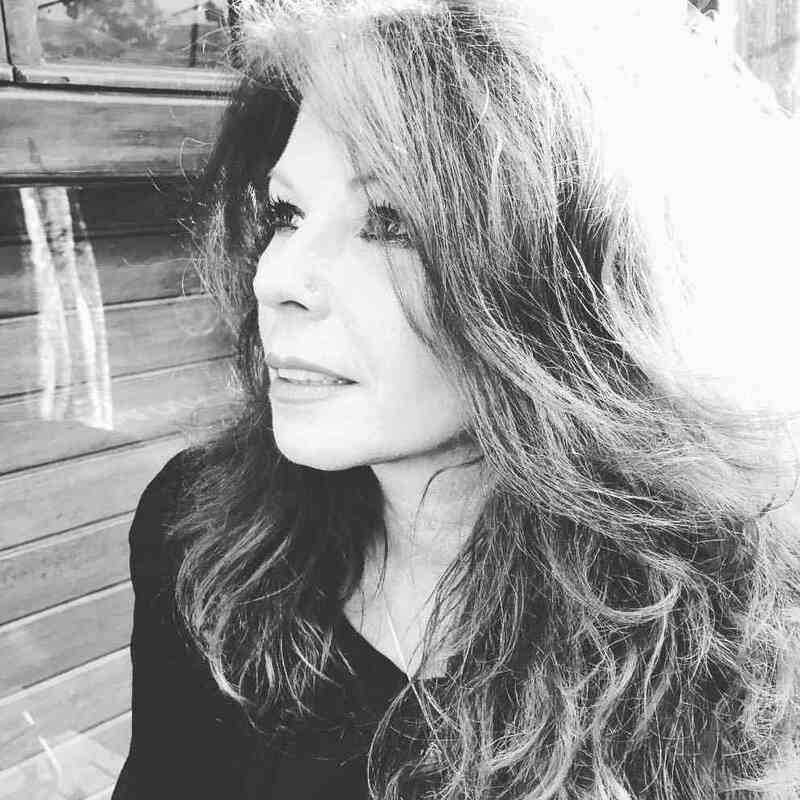 She lectures on the BA Art Programme at IADT, is a Visiting Lecturer on the MA Critical Art Practice, Crawford College of Art (2011 –present) and External Assessor of Fine Art Sculpture at GMIT (2006-2012). Awarded residencies include National Museum of Contemporary Art, Seoul, Sím, Iceland, Banff Centre, Canada, VCCA, USA. Her work has been commissioned by Dublin City Council, Project Arts Centre, IMMA, Nýló, Iceland, documenta XIII, The National Museum of Contemporary Art, Seoul and National Museum of Fine Art / TNUA, Taipei Biennial. Her research focuses on the relationship between art and philosophy in contemporary art and asks; how might art invite thought and what is the nature of this thought? Through staging and particular methods of assembly her work seeks to create temporalities that are “other” to the quotidian. These works call people together to specific locations at specific times, for example, a forest at midnight, a flat due for demolition in Dublin’s city centre at dusk and the National Gallery of Ireland during closing hours. By enacting “other spaces” on an experiential and symbolic level, she explores how thought might be “felt”. Through her research, she proposes that the nature of artistic thought is essentially affective in that it articulates a specific way of thinking that is bound up with the artistic form, the encounter, experience and the subject. She also asserts the term percipient as a more comprehensive and precise alternative to the term viewer as a designator for the subject encountering the multifarious range of forms that constitute contemporary art. 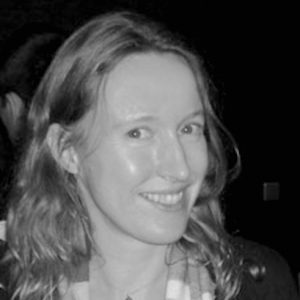 Dr. Tina Kinsella is Lecturer in Critical and Contextual Studies (Art), Faculty of Film, Art and Creative Technologies, Dun Laoghaire Institute of Art, Design and Technology, and Research Fellow at the Centre for Gender and Women’s Studies, Trinity College Dublin. Her research institutes conversations between artistic practice and process, psychoanalysis, affect theory and gender studies to explore performative intersections between aesthetics, ethics and subjectivity. Recent and forthcoming publications include: ‘Interview with Bracha L. Ettinger’, Studies in Gender and Sexuality(2017); ‘The Performative Performances of Micol Hebron’, Inappropriate Bodies: Art, Design and Maternity, Demeter Press (2017); ‘Liquidities – Transactive Border Spaces and Threshold Structures (Between the Harbour and the Sea)’, Performance Research Journal, Volume 21, Issue 2 – ‘On/At Sea’, co-authored with Dr. Silvia Loeffler (2016); ‘This is the fluid in which we meet … On Alice Maher’s Recent Drawings, The Glorious Maids of the Charnel House’, Kevin Kavanagh Gallery (2016); ‘Representing Desire? Reconsidering Female Sexuality and Eroticism in Umbilical’, Performance Ireland Journal (2016); ‘Sundering the Spell of Visibility: Bracha L. Ettinger, Abstract-Becoming-Figural, Thought-Becoming Form’, in And My Heart Wound-Space Within Me’, 14th Istanbul Biennial (2015); ‘Sticky Mothers – From Crypt to Transcrypt: A Response to Dragan Kujundžics’s Frozen Time, Liquid Memories,’ Interkulturalnost/Interculturality (2015); ‘Painting the Feminine into Ontology: On the Recent Works of Bracha L. Ettinger’, Museo Leopoldo-Flores/Galeria Poliavalente, Mexico (2014). Lisa Moran is Curator of Education and Community Programmes in the Irish Museum of Modern Art. Focusing on the processes of knowledge exchange between the artist, the artwork and viewer, she has worked with a range of artists in the development of innovative resources and initiatives to engage viewers with contemporary art such as the STRANDS programme in collaboration with artist Christine Mackey and the What is­_?programme, which provides information about modern and contemporary art encompassing talks, booklets and an extensive web resource. Before joining IMMA in 2002, she was Combined Arts Officer in the Arts Council with responsibility for community arts and multidisciplinary arts festivals. She also worked on policy and project development in the areas of arts and health, arts and disability and arts and science. She has a BFA from the Cooper Union School of Art in New York and an MA in the History of Art from the National College of Art and Design, Dublin. Her postgraduate research focused on the role of the psychoanalytic concept of projective identification in the encounter between the artwork and the viewer. 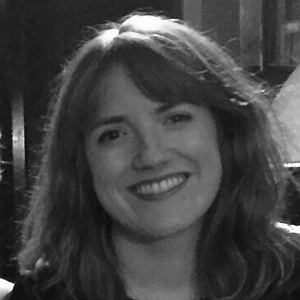 She is a PhD candidate with NCAD undertaking research into commemorative strategies in contemporary art focusing on the work of MiroslawBalka. She is applying a psychoanalytic framework drawing on the work of W.R. Bion and his theory of thinking based on the model of the container/contained to consider the role of the container in the work of Balka. She lectures on modern and contemporary art in the Department of Visual Culture in NCAD with a particular emphasis on commemoration, memorialisation and art in public spaces. 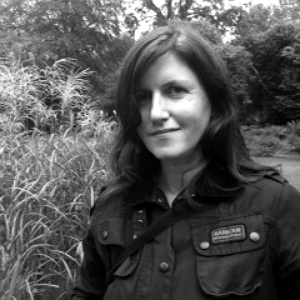 Johanne Mullan is a curator based in Dublin. Since 2001 she has worked as National Programmer at the Irish Museum of Modern Art where she has curated and facilitated over 150 touring exhibitions from the IMMA Collection throughout Ireland. Working with art and non art spaces Johanne has commissioned site specific projects and performances by artists such as Nigel Rolfe, Amanda Coogan and John Beattie. She co-curated the touring Altered Images exhibition in 1997 which explored access to the Visual Arts for the visually impaired and contributed to the Arts & Disability Shift in Perspective publication in association with ADI, The Arts Council, Mayo County Council and South Tipperay County Council. She coordinated recent IMMA exhibitions Patrick Scott: IMAGE SPACE LIGHT and Trove: Dorothy Cross Selects from the National Collections and is currently facilitating a number of curatorial projects relating to the IMMA Collection including an exhibition for Foundation 15 in Tullamore which will be curated via an open online selection process. Johanne coordinates the IMMA Collection online and is part of the National Cultural Institutions Inspiring Ireland project team. She has written extensively on artists from the IMMA Collection and recently contributed an essay to the RIA Art and Architecture of Ireland Volume V: Twentieth Century publication. Johanne previously worked as Manager of the Green on Red Gallery, Dublin. Kathleen Moroney lectures on the BA programme at IADT and is External Assessor of Fine Art Ceramics at GMIT (2010-2016). She has a Research Masters in Ceramics from LIT and is currently working on a Practice-led PhD at the University of Sunderland, UK. Kathleen has been awarded residencies in New York, Minnesota, Japan, China and Denmark. 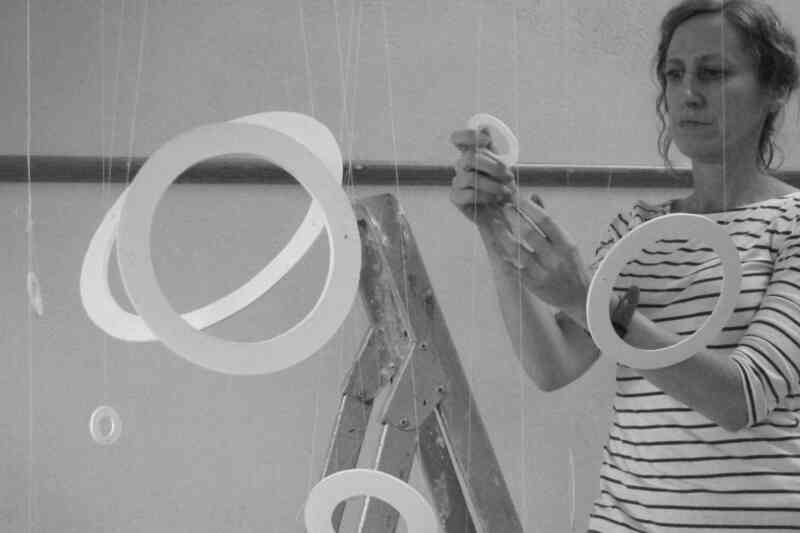 While in New York City she worked in museum education (2000-2005) for the Guggenheim, MoMA PS1, and the Isamu Noguchi Museum, where a curiousity for the use of ‘space’ and ‘composition’ was ignited; now integral components of her practice. Kathleen’s research focuses on the intersection of a ‘measured’, process based material world of craft and the transcient, immediate nature of contemporary dance to explore the delineation of ‘movement in time’ and the traces of motion inherent in stillness. Her methodology merges a cognitive and physical/embodied approach to the understanding, processing and translation of concept. The narrative undercurrent of Kathleen’s work has found form in site-specific and collaborative projects, public art commissions and gallery installations. 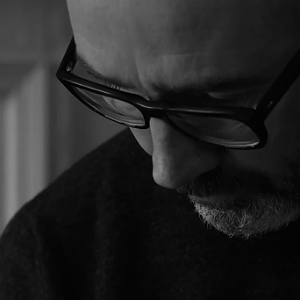 Adrian O’Connell was born in Derry, N. Ireland, in 1965. He received his B.A. (Hons) in Fine and Applied Art in 1998 from the University of Ulster, and his MFA in 2000, also from the University of Ulster. 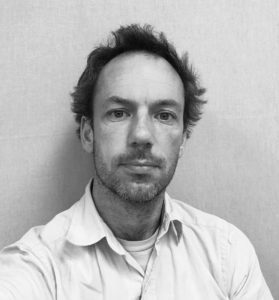 Since 2002, he has been employed as a full time Lecturer in Sculpture and Video at the Institute of Art, Design & Technology, where he forms part BA in Art programme team. Working with video and sculptural installation, O’Connell’s own art practice frequently addresses the ever-shifting political landscape of local and international affairs, drawing attention to the social effects of governmental decision-making. Recent exhibitions include Exploring Spaces, the Braid Museum, Antrim, N. Ireland (2015), Play, Record, Rewind, Engine Room Gallery, Belfast (2015), The Belfast Festival at Queens (2012), EVA International (2012) and the Sydney Fringe Festival (2011). 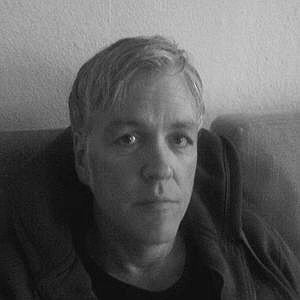 O’Connell also works with narrative cinema and he directed the feature film Nailed (2006), which was released and distributed on DVD through Image Entertainment USA (2007) and 20th Century Fox Home Entertainment Australia (2007). My teaching and practice reflects my research interests in the philosophy and geometry of space [place] and object [thing]. This research is carried out through practical experimentation, modeling space and an expanded understanding of process as the ground for thinking fundamental ontology. I teach on the Art programme in IADT. I have a special responsibility and focus on drawing and model making. Examples of my research are published on my website www.deda.ie.